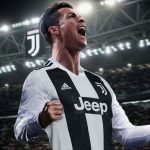 After finding his scoring touch in Germany, Cristiano Ronaldo is ready to renew his scintillating duel with Lionel Messi in the Spanish league. Ronaldo ended a rare three-game slump without a goal to help Real Madrid win 2-0 at Schalke on Wednesday in the Champions League. Madrid leads Barcelona by one point in the league before visiting a modest Elche side on Sunday. Barcelona hosts Malaga on Saturday, three days before it travels to play Manchester City in the Champions League. Not so long ago Ronaldo was running away with the Spanish league’s individual scoring title for the season. 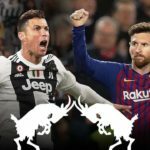 Through 15 matches, Ronaldo had already tallied the impressive haul of 25 goals, while Messi – his closest chaser – was far behind with 13. Since then, Messi has exploded and Ronaldo has struggled to keep up after facing 2 match ban. Ronaldo still leads with 28 goals, but Messi has closed the gap and has 26. Counting all competitions, the two are fittingly locked on 37 goals in 34 appearances each.